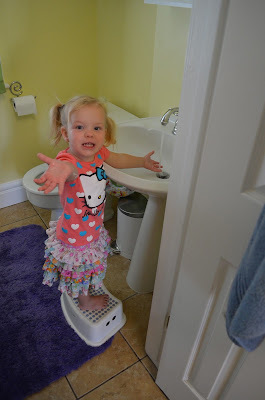 Vivian takes using the big girl potty very seriously. She insists on getting her own toilet paper, she then must wash her own hands (with pink soap) and then must dry them with a towel. And it does not matter how busy we may be, each step must be completed thoroughly each and every time.